Sardinia is home to epic beaches with white sands and turquoise, crystal clear waters and a wonderfully rugged coastline that invites the adventurer in you. It’s the ideal place to take the family but where to stay. 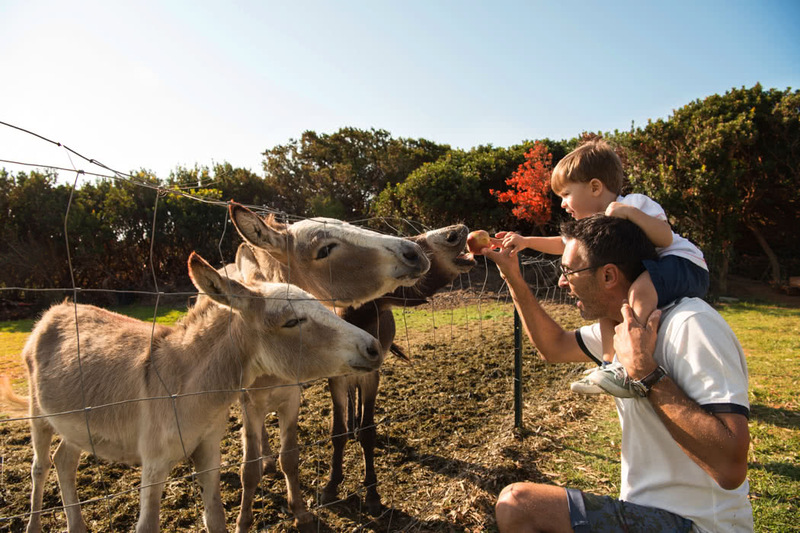 A good family resort should offer that perfect blend of relaxation opportunities and adventure activities and that’s exactly what you get at the luxurious Resort Capo Boi. 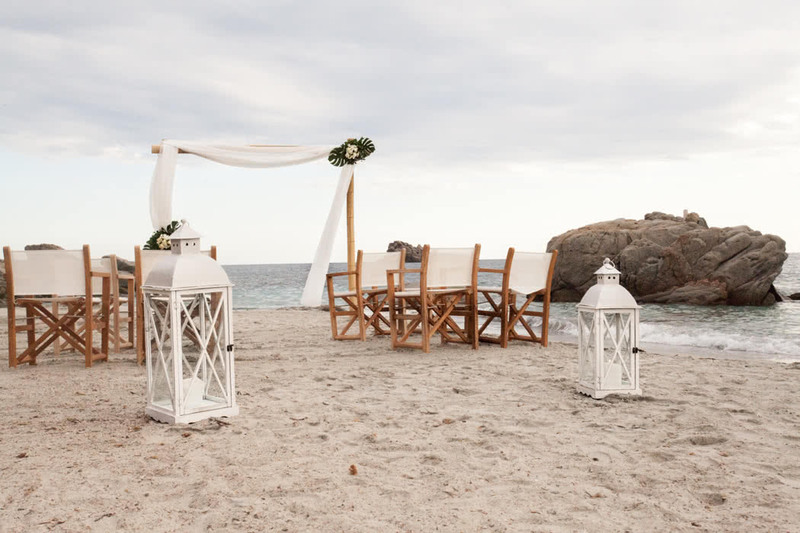 The resort is located on the south coast of the Italian island of Sardinia in Villasimius. The picture-perfect location consists of a lush green park and one of those private white sandy beaches surrounded by hills in the middle of a conservation area. 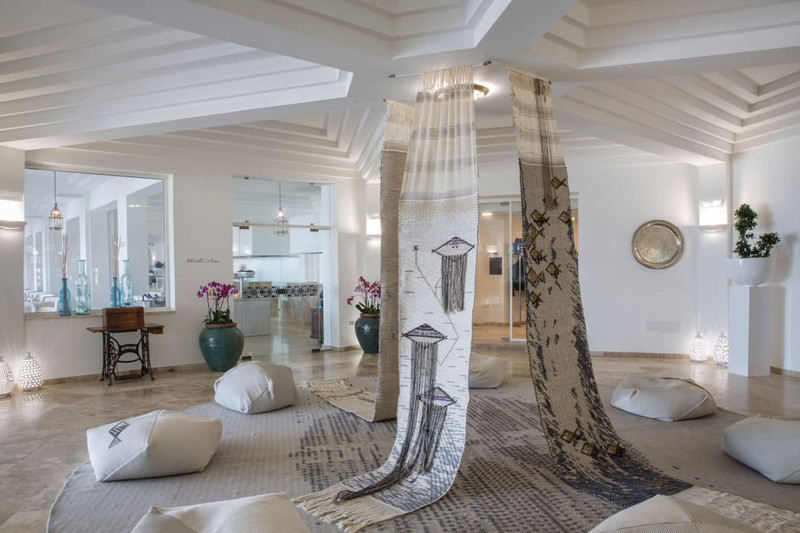 Cagliari International Airport is a scenic 40-minute drive away and you are just 6km from Museo Archeologico di Villasimius and 7km from Tanka Golf Club. 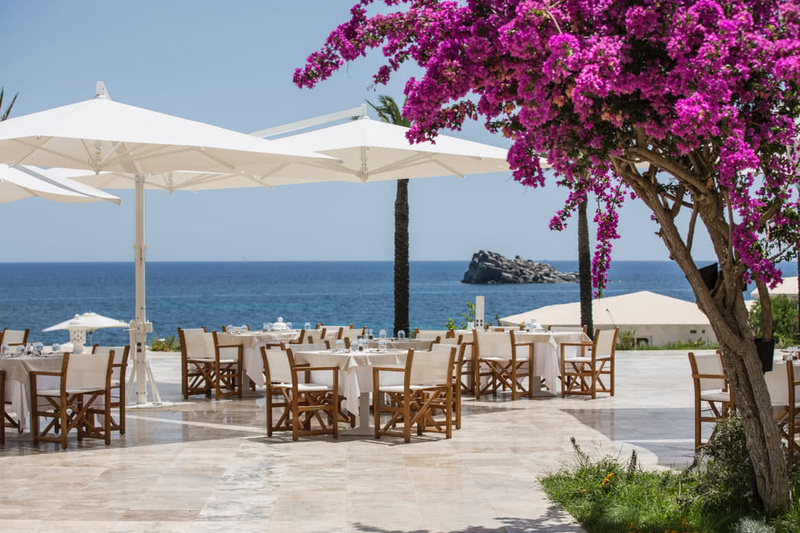 The beautiful 5-star beachfront Falkensteiner Resort Capo Boi is the first premium family resort in Sardinia. 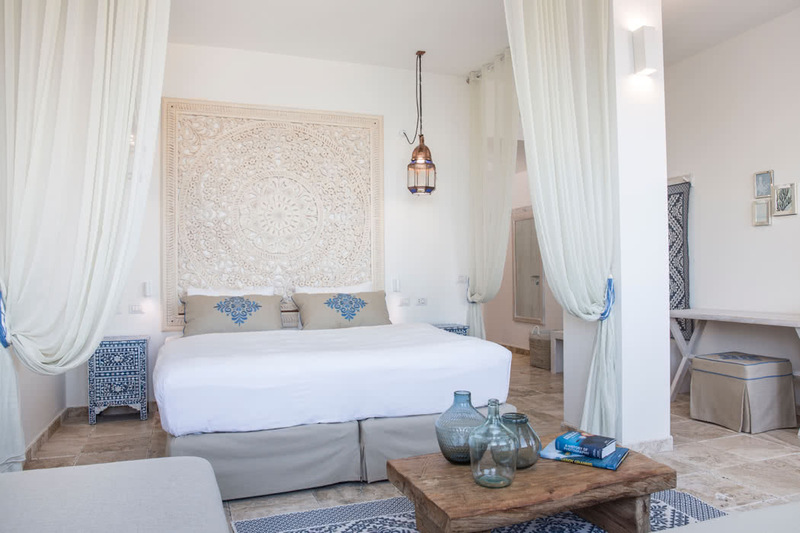 The resort is stunningly designed with a relaxed Mediterranean feel; beautiful white villas spread throughout the grounds and gardens decorated with a chic, soft colour palette. The mood is instantly calming, exactly what you need for a relaxed family holiday. 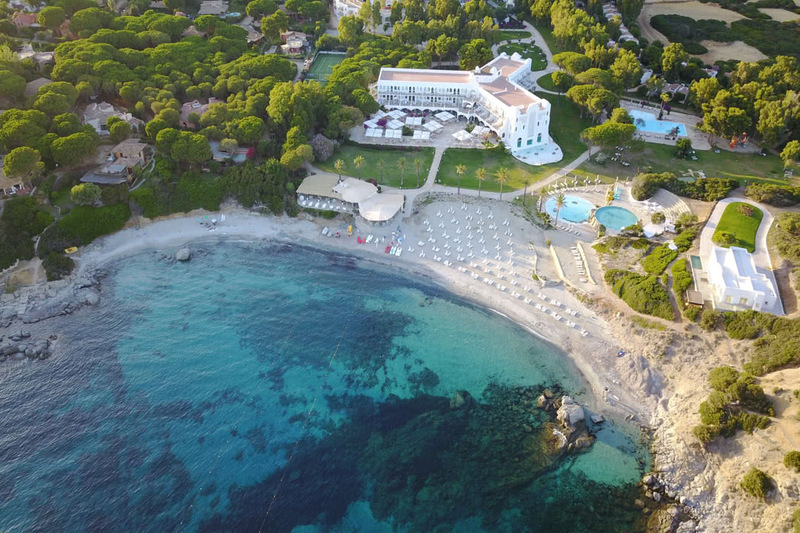 Plus, heavenly views of Capo Carbonara Bay seem to follow you as you wander the resort. 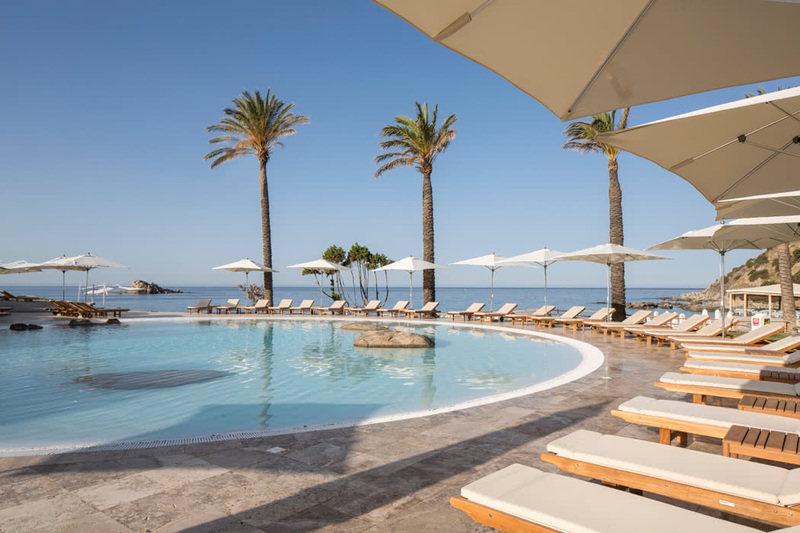 As well as enjoying everything the beach has to offer (in comfort of course, there’s parasols, loungers and a beach bar), the gorgeous infinity pool is the place to relax and gaze at the breathtaking sea views. There’s also a separate family activity pool to entertain the young ones. 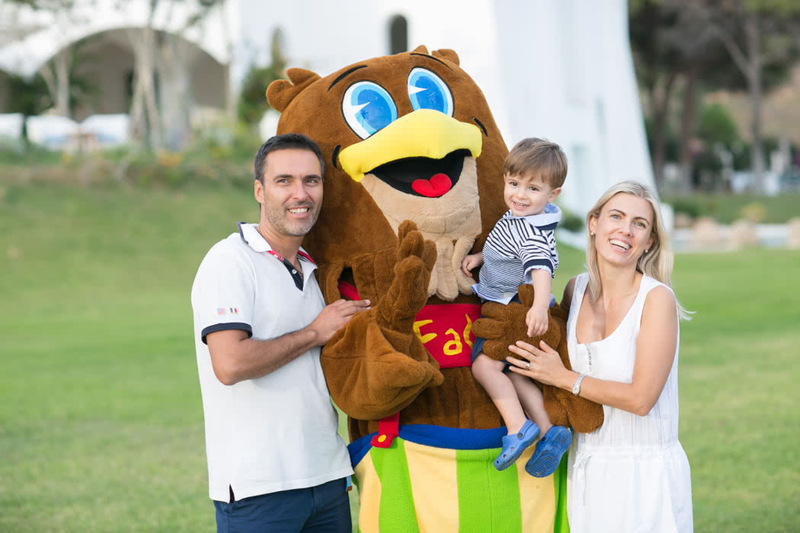 They are great at catering for all the family here and put on a whole host of entertainment activities; as well as the excellent kids club, Falky Land, there’s Falkensteiner Teens World and a small amphitheatre where evening entertainment takes place. You can keep very busy with the sport and recreational facilities on offer; try your hand at snorkelling, scuba diving, stand up paddle boarding, tennis and more. There’s also a Soccer School, you can take a boat trip, a cookery class and play golf nearby! And of all this gets too much, escape for some much-needed pampering to the 750m² Acquapura SPA while the family are in good hands. New for 2018 are their Sport Bootcamps; the ideal energising holiday with an intense training program that will transform your body while still allowing you to soak up that stunning location. The friendly and super helpful staff go above and beyond to make your stay a memorable one. 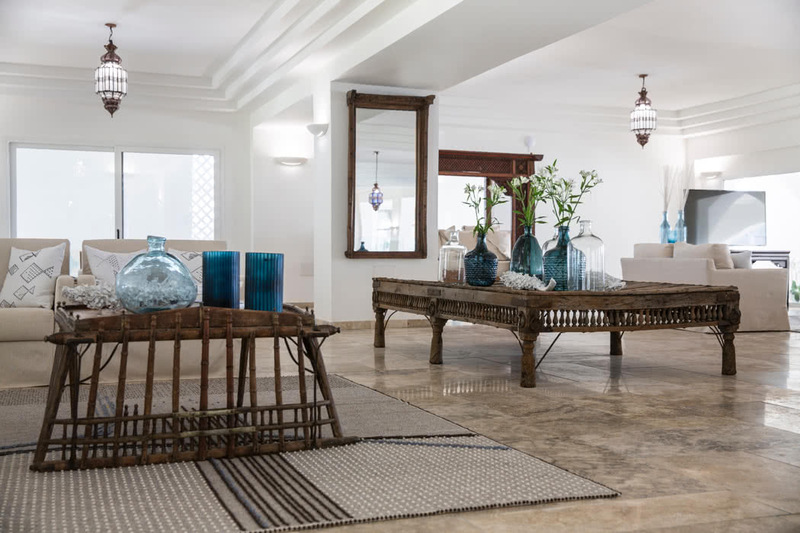 For accommodation, choose from 122 guest rooms: family rooms, suites, family suites and villas. All are ensuite with either a balcony or terrace, and either a park or sea view. 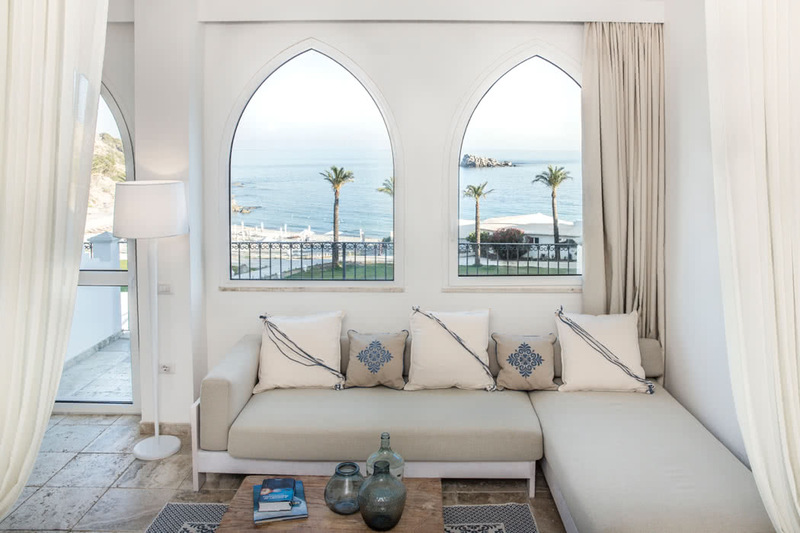 All the rooms and suites are lovely but out of these options, discerning travellers should opt for a suite with a sea view. However, there’s another option and it’s definitely the most desirable option for luxury travel. The newly opened, ultra-exclusive, 4-bed, 4-bath, Villa Bellavista. Achingly chic with its own stunning panoramic infinity pool it enjoys direct access to the beach, a vast terrace with devastating views and butler service. 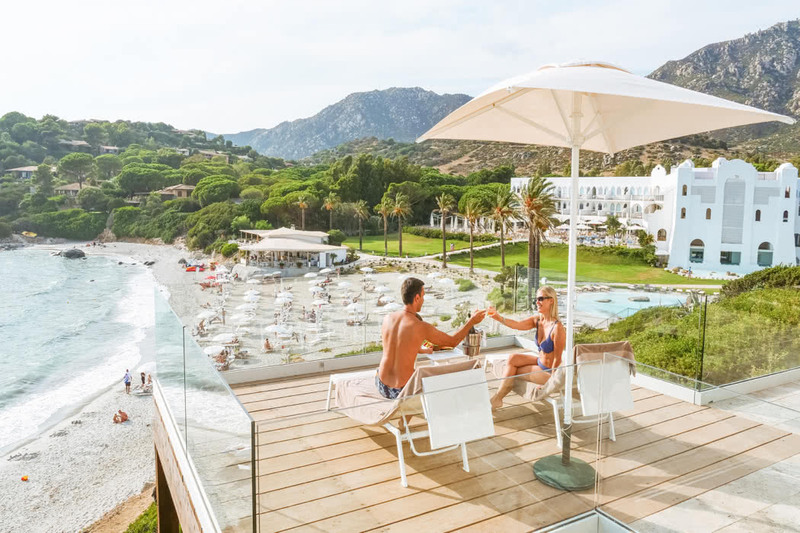 There’s something for every time of day when it comes to dining; enjoy the pool or beach bar by day (don’t miss the BBQs on the beach! 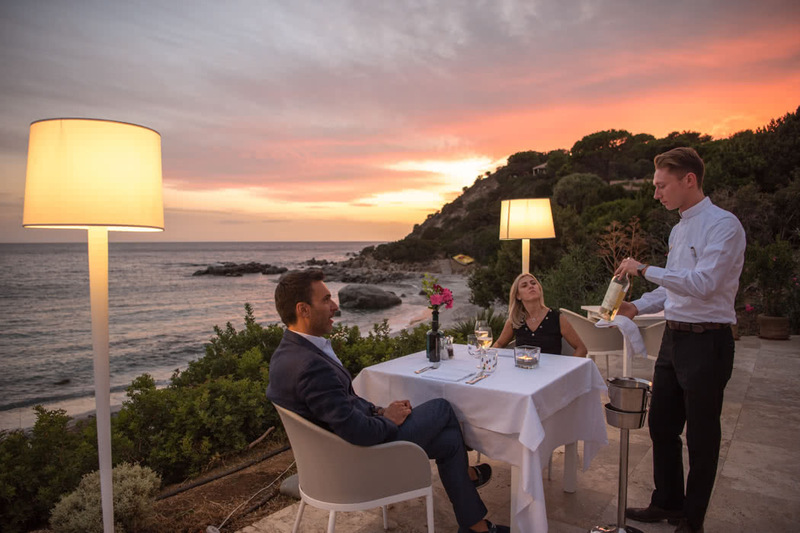 ), savour the fresh, Sardinian cuisine, pizza and seafood in one of the restaurant for dinner and head to the club lounge for a chilled-out evening cocktail, great tunes and partying. In between all this you have the lounge bar and terrace with its exceptional wine list and snacks.